The public have been misled on the risks of vaping in public. The results of a new survey on attitudes to tobacco and e-cigarettes published by the European Commission on Tuesday in advance of World No Tobacco Day, found that 63% of EU citizens favoured banning their use in public places where smoking is prohibited. This is a shocking statistic and is the culmination of both sustained misinformation of risks by opponents to the technology, and some of the provisions in new EU regulations on the products. According to the Royal College of Physicians, London and Public Health England, vaping is at least 95% less harmful than smoking lit tobacco. But new EU rules on things like nicotine levels, and nicotine warning labels which need to be applied to device packaging, even those which do not contain nicotine, were based on exaggerations of the risks involved. 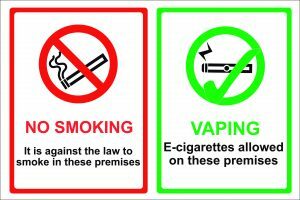 This contributes to a negative perception by the public who then believe smoking and vaping carry similar risks. The IVVA supports the measure by Leo Varadkar during his time as Minister for Health of leaving it up to individual premises and business owners whether they allow vaping or not, but there is now an urgent need for better communication on vaping by government and those working in public health. New EU regulations which came into force last year prohibit manufacturers and suppliers from making comparisons between their products and tobacco cigarettes and prohibit most forms of advertising of the products to existing smokers. The new regulations on the devices and liquid refills include the requirement that ingredient lists, toxicological risk information and emissions test results are notified to the HSE 6 months in advance of new products going onto the market. An analysis of a British YouGov survey, published by members of the UK Centre for Tobacco and Alcohol Studies, ASH and Cancer Research UK in February of this year, found that those who never smoked or vaped, or were less likely to be informed of the relative risks of vaping compared to smoking, were more likely to support bans in public spaces.